Seat reservation for a trip on a Tagkompaniet train from Narvik to Stockholm with a Scanrailpass. 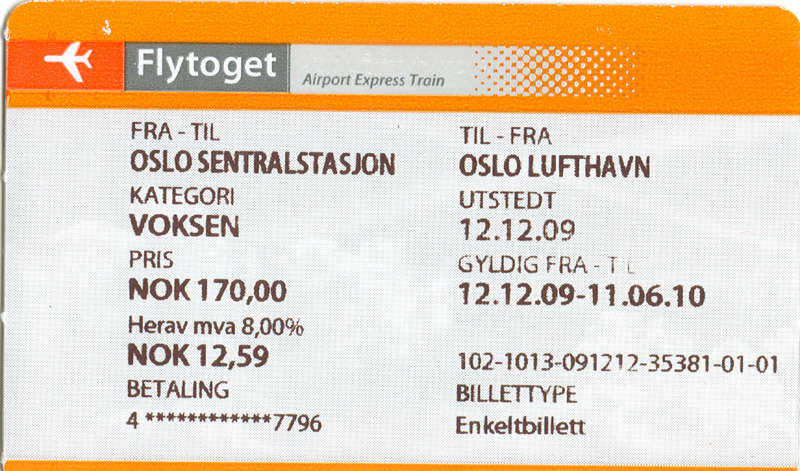 I bought this reservation at the ticket office in Narvik just before the departure of the train. It was not possible to get a reservation for this train in Oslo or at other places in Norway. Passenger trains to Narvik are operated by Connex now. NSB Flytoget -- Ticket for adult. December 2009. Seat reservation for a trip with a Scanrailpass on a NSB Signatur train from Oslo S to Dombas and for the trip on the beautiful railway line from Dombas to Andalsnes. 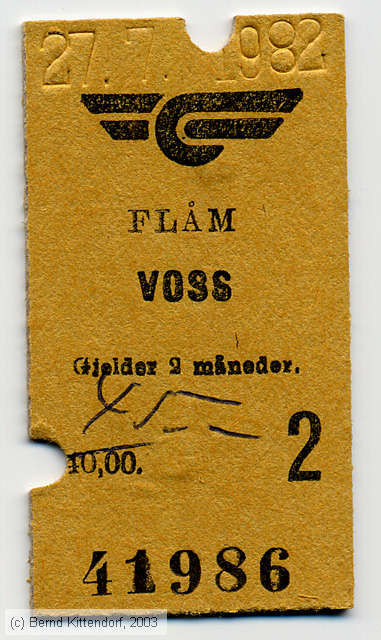 Seat reservation for a trip with a Scanrailpass on a LINX train from Oslo S to Goteborg C.
Oslo Tramway, Bus and T-Bane one day ticket. December 2009. Envelope for NSB tickets and reservations. 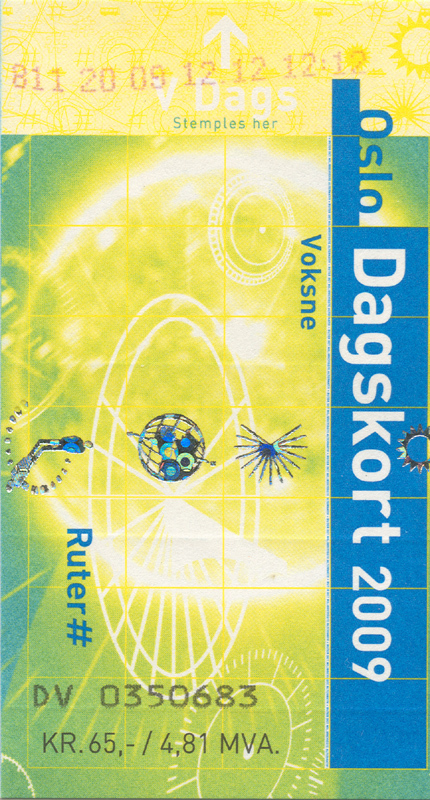 Fahrkarte vom 27.07.1982 für die schöne Strecke von Flåm/Flaam nach Voss (Norwegen). 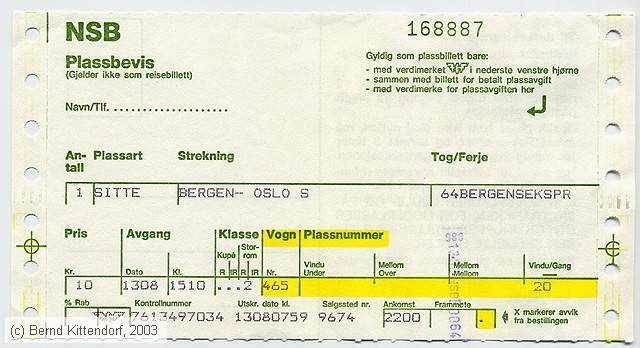 Reservierung für die Verbindung Bergen nach Oslo (Norwegen).